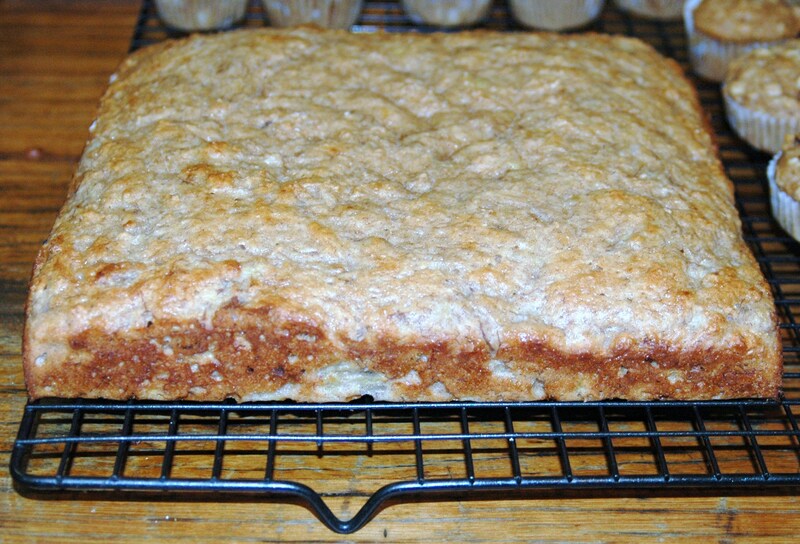 When was it that banana cake suddenly became known as banana bread? And is there really any difference? My understanding is that banana bread is really a low fat banana cake cooked in a loaf tin, rather than a round cake pan. However I don’t think there is any clear definition of that, especially after I checked on calorie king and found that a serve of banana bread at McDonalds has a whopping 581 calories! That is more calories than a Big Mac (493 calories) or a standard dinner of meat and vegetables (around 450-500 calories), yikes! Muffin Break isn’t much better with a 107g serve having 346 calories. Mind you, 107g slice is a rather large serve. Still again that is more calories than most sandwiches! 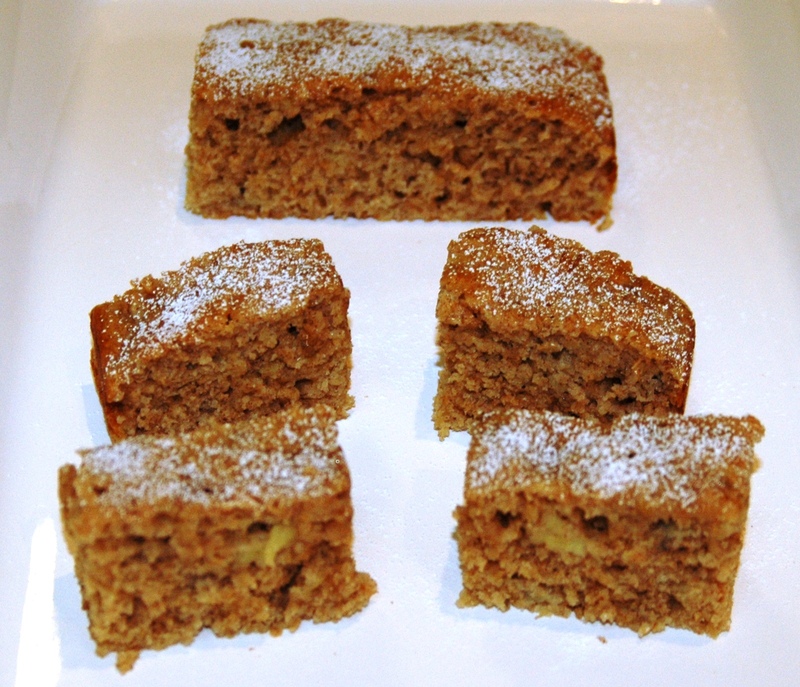 My banana ‘bread’ recipe is a combination of a few different recipes that I have played around with, including the one on the institute of sport website and it is really a lower fat banana cake. I cook the cake in a large square tin rather than a loaf tin to reduce the cooking time as overcooking low fat cakes can make them tough. It is also easier to slice into smaller slices this way. I have to admit that I prefer to use butter as I find that using butter in low fat cakes improves the texture and flavour. If you are watching your saturated fat intake, substitute it with margarine or oil. It will still be yummy! Grease and line a 9-inch (23 cm) square cake tin. In a large bowl, sift together the flours, baking powder, bicarb soda and cinnamon. Mix in the sugar. In a medium sized bowl, whisk together the egg and egg white. Continue whisking while you add in the yoghurt, vanilla and banana puree. Make a well in the centre of the flour mixture and stir in the wet ingredients with a spatula until just combined; don’t over mix as this works the gluten and can make the ‘bread’ tough. Scrape the mixture into the prepared pan and bake for approximately 30-40 minutes, or until the centre feels lightly-springy and just done.